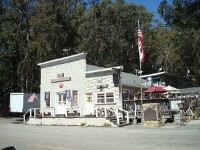 This is the oldest store building along the north coast of San Luis Obispo County. Built in the 1860s at Whaling Point, one-half mile to the west, it was moved to its present location in 1878. It has been operated by the Sebastian family for over half a century. 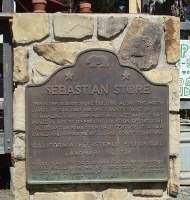 The official state marker plaque is in front of the store.